Another month has ended and it’s time for another post talking about all of the rubbish that I’ve accumulated over this month! A lot of this stuff is just items that I wanted to move out of my collection to help me use up more of my products without feeling overwhelmed by my options, which I know seems wasteful but it’s a lesson learned. I hope that you enjoy the post! Welcome to the last 100 Days of Makeup recap post before the finale! I really hope that you enjoy this week’s recap, I’ve used some products that are new to me and it was really exciting to play with them! 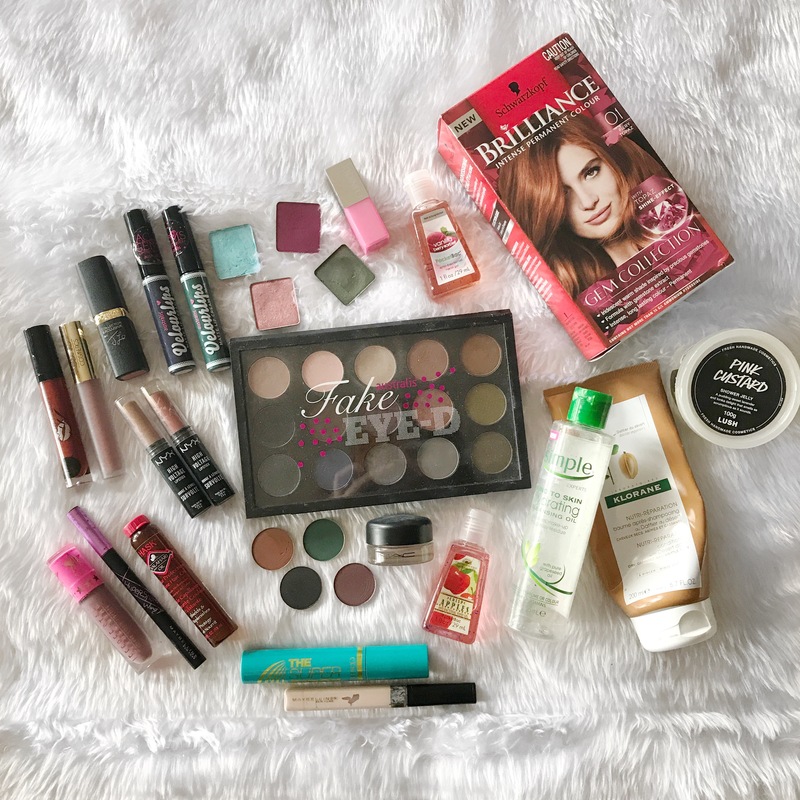 This month, I have a LOT of products to add to my wishlist! I usually have four or five solid items that make it to my wishlist but there really has been a lot of things that I’m interested in. This week has been QUITE stressful. I’m currently in my last week of finishing my thesis (I’m getting it finished early so that I don’t have that interfering with me beginning my new job) but I’m still having a lot of fun and putting a lot of effort into these looks. I hope that you enjoy this post! I had such a fun week of looks this week, including one that you’ve already seen in last week’s blog post! I’m almost at the 2/3 mark of this challenge and I’m so surprised an proud of how long I’ve been able to do this challenge! I hope that you enjoy these looks! Today, I’m going to be talking about an app that I think everyone who hoards things needs. I collect a lot of makeup and part of that is because I love it and part of it is because I want to talk about new things on my blog a lot but lately I’ve been watching A LOT of project pans, declutter, and minimalism videos on YouTube and I’ve become inspired to downsize my collection a bit. Especially with my Journey to Cruelty-Free. I’d originally been using Depop to try to sell some things but I never made much from it so I found a new app called Carousell and within the last week I made over $100+ so I just HAD to talk about it with you. This post isn’t sponsored, it’s just a friendly suggestion to those who want to make money and turn trash into treasure!